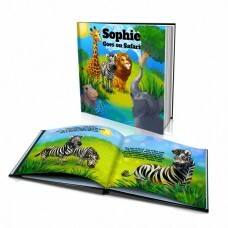 Make your kid the star in a personalised kid's book by simply adding their name. 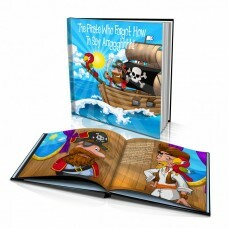 Choose from over 40 titles and watch the excitement on their faces as you read through the book. 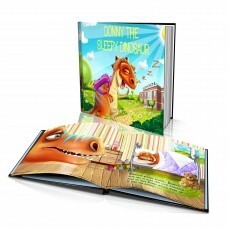 Personalised children stories make reading time special because it's a personalised book just for them! Storybooks are always a great gift, and when you order with us, you create a personalised book they will cherish forever! 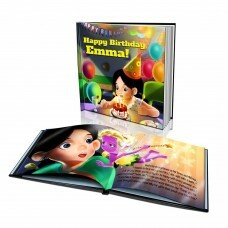 Give a personalised storybook to all the children in your life today! Personalised Story Book: "The Unicorn"
Personalised Story Book: "The Magic Shoes"
Personalised Story Book: "The Dinosaur"
Personalised Story Book: "Happy Birthday"
Personalised Story Book: "Sleepy Dinosaur"
Personalised Story Book: "The Pirate Who Forgot How to Say 'Arrggghhh!" Personalised Story Book: "The Safari"
Personalised Story Book: "The Little Digger"